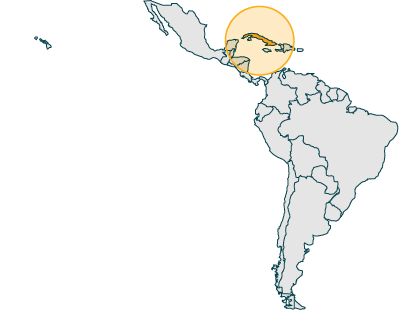 The Caribbean produces excellent quality coffee thanks to the trade winds. These circulate from the Atlantic and cools the tropical, humid climate. The Sierra Maestra mountain range is rich in copper, manganese, chromium and iron which gives the beans their unique flavour profile. The coffee is grown in natural shade and harvested from July to December. It is wet processed before gently and naturally dried in the sun. In the cup Cuban coffee can be taken with or without milk and has a pleasantly smooth creamy body. A nice touch of sweetness gives a finishing touch to this exclusive cuban experience. For an authentic cuban experience, prepare your espresso. Add the first few drops of the brewing coffee to a small pan with a couple of tablespoons of sugar. Whisk until sugar and espresso combines into a creamy paste. Add the rest of the espresso and stir gently. Serve and enjoy. With its velvety caramel flavouring and a fine touch of sweetness, our Cuba Serrano is the best seller out of all our single origin coffee beans. The beans are farmed at an elevation of 1000m meaning they are perfect for a medium/high roasting process. 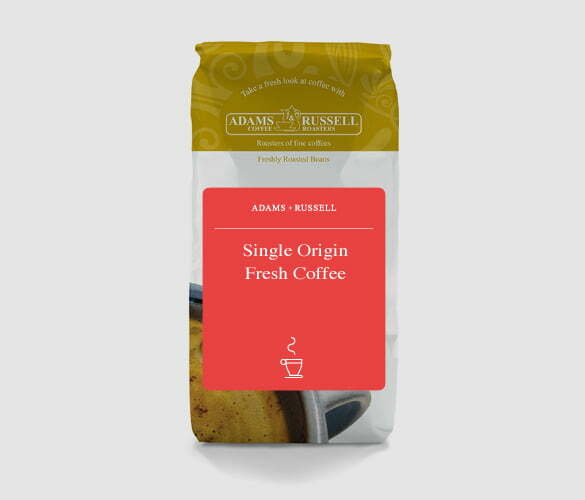 What does Single Origin Coffee mean? When a coffee is labelled as “single origin coffee”, the coffee has been grown and sourced from one single geographic origin. This can be a specific farm or country. The “opposite” to a single origin would be a coffee blend. To the consumer, the single origin option allows the drinker to expect more of the characteristics associated with the specific origin. One of my absolute favourites from Adams & Russell. Nicely roasted and lots of flavour. I’ve found that the 1KG beans keep their taste very well over a couple of weeks if kept sensibly. Really worth the bother of picking up the phone and ordering, can’t buy online because PayPal won’t process payments for Cuban products. I really want to keep the quality and taste of this coffee a secret for fear of it becoming unavailable. Having tried some so called ‘Cuban’ offerings from other retailers I was somewhat skeptical about purchasing…..however, nothing ventured, nothing gained!!!! Yes, and what a gain!!!! This is a stunning coffee, especially if you prefer a strong (not bitter) brew with thick crema. Definitely going to purchase more before it sells out.